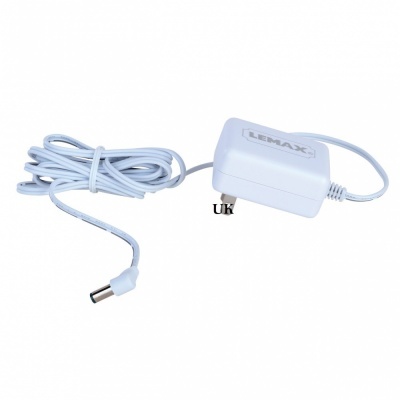 Lemax Power Adaptor 3v UK White 4 Male Output mains power adaptor will feed four electrical Lemax Village accessories from a single UK plug source. Single power transformer with four 'male' power jacks supplies mains replacement power to four battery operated (3 x AA) Lemax accessories. Each power outlet jack is supplied with male ends and each individually regulated. Lemax battery operated accessories have the option for 3V mains power avoiding the need for batteries, and Lemax have designed this official power source to work with those battery pack accessories.